Are You Completely Relaxed, Confident And At Peace About All Of Your Future Retirement Plans? More and more increasingly, Baby Boomers are having to delay their retirement. Their decision affects an important period of their lives. Gone are the days when people could retire at 60 or 65 even! This is happening for many reasons. Sadly, the reasons for this new and upsetting trend are leaving those who should be in their golden years feeling rather precarious! Many people who have been working hard for the past 40-50 years and who had plans to retire comfortably are realizing that they cannot afford to leave their jobs. It is reported that one in ten people reaching general retirement age who had anticipated retiring have had to ditch their plans because they simply do not have the money. Many pensioners who had retired, return immediately to work while others get part-time jobs. They suddenly realize that there is no other way that they will be able to pay their bills. It is believed that the once commonality of retiring at the age of 60 is increasingly seen as outdated by many younger people who now expect to work into their 70s. This is because it is more and more difficult for young adults to become self sufficient and many have what is being referred to as “delayed adulthood”. Young adults are finding themselves unable to buy homes or start families until they are in their 30’s. Many of the younger generations are not even settled into a career until they are into their 30’s knowing that it will take them much longer to retire properly. Current (and perhaps even more so in the future) workers are going to have to work longer and pay more for retirement. This forced delay of retirement is said to be because many individuals recognize that their pensions are actually worth so little. Many of those who are finding themselves in the situation of having to delay their retirement are urging younger people to find a way to bring in money that doesn’t necessarily mean “working for the man”. They are being encouraged to take matters into their own hands! For instance, when you work a 9-to-5 for someone else, you find that you’re at the mercy of your boss and the company for which you work. You have very little control and at the end of your pay period, you get a paycheck. However, in today’s economy, working for years doesn’t always mean you will retire with a good a pension. Entrepreneurship is the new pension plan! As you watch more and more people delay their retirement after 40 or 50 years of work, it is time for you to make a decision. Are you going to work the same job until you are 70 years old, just so that you can simply get by? Or are you going to take matters into your own hands so that you have control over what you do, where you go, and when you decide to settle down and put your feet up! Because let’s face it, you have better things to do with your time when you’re in your golden years than worry about work or money! This post is so accurate. I know many baby boomers that had dreams for retirement but are forced back into the workforce when they find their savings are not covering bills or living expenses at least not for long anyway. It makes me worried for my own retirement and I hope to be in a better position than a lot of today’s retirees. This is a very serious topic. Those who recognize these implications will have a greater urgency to take action sooner than those who ignore all of the warning signs around us. I very much relate to this article. With this economy our ability to save for retirement gets smaller each month. Hopefully we will be able to retire by 80! For sure, this process has changed over recent years. It has forced many to once again look towards entrepreneurship as an option. I think that this information will help me a lot in the future. Thanks for your help. I really needed this advice. I’ve always wanted to go into entrepreneurship myself and this information will help me. You can certainly benefit by getting an early start for retirement. Good luck with your efforts. I think that if people delay their retirement, it will benefit the economy greatly. The financial situation of governments around the world will improve because less people would be not working. This also benefits the younger generation who can learn from the older one. John, thank you for your comments. Your logic is a bit flawed to us in several areas. However, the main point of the article was to focus upon those whose time to retire is near and how current situations will affect them. To begin a debate around your view would be to ignore the questions raised by the article. There are few people within my inner circle who are totally at peace with the retirement plans they made 10 years ago. I include myself in this group. With the meltdown of the markets in 2008-09, financial performance of many investments simply went away or were severely impacted. There are few 9-to-5 jobs available or suitable for people in my age bracket. Fortunately, I have always had an entrepreneurial bent. You make your own luck. This is a good report from you. It is certainly a much more preferred situation to not find yourself “trapped” by circumstances. Sure it is easy to say that entrepreneurship is the answer but today’s society is just plain lazy. Building a successful business takes years of patience and learning. Not every person is able to do this. It is sad that the age of retirement is going up, but I believe it will stay that way for a long time. There is no simple solution to it. We can understand your logic and what you are indicating is quite true for many. However, it does take time to learn and to grow a business, but that is not the way to look at the situation. If a person still has the resources of time. reasonable health and is still capable of functioning in some capacity, our view is that such a person can still learn how to generate extra income for themselves, but by using a very different approach. Sure, it is unlikely that such a person would be able to walk into a boardroom and become CEO within a week, but if they were willing to analyze the personal skills and knowledge that they have developed over their many years of working, there is still much value within them. By approaching the problem from the standpoint of what they already know and the value that their knowledge represents, it is possible for them to identify (from an entrepreneurial view) numerous individuals and/or companies who would agree with the fact that they still have usefulness and value. What are their options otherwise? Wait and hope for assistance that may or not materialize or to make an effort to succeed by identifying and applying the skills required to survive and prosper? Other than those two options, the only other option that is left would be to do nothing. And in that case, your point is well taken. Sadly, you would be correct to say that there is no solution for them. This article brings up a good point, it isn’t fair that just because of the time they were born in means now that they have to delay their retirement. Something needs to be done. That is true. There is no doubt that the top-level decisions made over the years or those decisions that were not made have created this problem. If history continues to repeat itself (which is likely), the best solution for individuals is to take matters into their own hands by becoming more entrepreneurial. It is sad to say that we will all work right up to the day we die. Even if we think we have dotted all of our I’s and crossed all of our t’s over the years. The sad truth is that we may still work long after we retire. Those are very profound statements and may well become true for many. Our view is that there is really only one practical way to counter this concern. While you have the opportunity, you should focus upon additional revenue methods, especially those that will provide you with maximum leverage. Hopefully, an approach like that will position you into stronger and stronger revenue streams that will give you alternatives to having to work beyond your retirement years. Absolutely, and as the crisis begins to worsen it will become even more so. Your analysis rings true for my family. Very little reward working for someone else. Young adult children having to put off owning a home and starting a family. And not really succeeding until they develop their passion and decide to be entrepreneurs for themselves. I wonder if years from now people will look back and wonder what exactly “retirement” actually was. This article reveals the sad truth of our current state of affairs. Entrepreneurial activities are the only practical solution for those who want to take action and not depend upon others to resolve their situation. I see this with my parents too, it’s just a different world out there. But wow, great article, thank you very much. It is amazing how many of our readers are closely identifying with this particular article. For sure, it is an article that should be shared with others, and hopefully it will also encourage some action to be taken quickly by all who are being affected by this sad situation. It’s rather ironic in this situation. I mean, i want my parents to retire. Yet, it’s a part of the income gone. And what would they do after retirement? Probably enjoy the boredom after that. So anyway, it’s not me to decide their life choices. The reality of this financial crisis will affect many people directly and indirectly. Obviously, this problem is so wide spread that it will also have a very strongly felt impact on their relatives, neighbors and friends. Although, as you said, you cannot make retirement choices for your parents, it is likely that whatever choices they do make will affect you indirectly no matter what they decide. I feel that a large part of people retiring later also comes from people who can financially stay retired but don’t have enough to keep them busy. Both of my parents have come out of retirement several times and I know for my mother she just likes to get out of the house. Mostly we hear that retirement is usually viewed as a time of “freedom” to do as you please. This is especially true when compared to the restrictions of your working years. Being able to come and go as you may wish is a joy for those fortunate enough to be able to do so. Those individuals who are able to are holding on to their houses for retirement. Ironically, when those comprising the next generation cannot afford to buy a house without help from the bank of ‘Mom and Dad’, which forces the older generation back to workforce…. 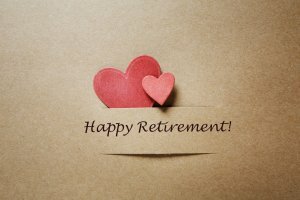 and then – “So Long Retirement”! Whenever there are financial woes within the current generation, the following generation will feel their effects in one way or another. I dont even have any retirement plans. Just take life as it comes……i know i’ll probably regret it but hey…..
We wish you the best of luck, Sam. You are not alone in your thinking. Others have told us the same. I agree. This nation of ours is not teaching us how to properly plan for retirement and in some cases even encouraging us to withdraw pensions early. Very insightful and helpful post. If there is a “bright” spot surrounding this issue is that more people are becoming aware. Once you are aware of a problem, you can begin to formulate solutions. We are certainly trying to do just that as best we can. This is so true and sad. My own parents have worked all their lives and in their late 50s, they are still stuck with the jobs, no where near to retirement. As much as they want to retire and spend quality time with their grandchildren, it seems unlikely anytime in the near future due to many financial constraints. I hope they get to retire few years on! True, entrepreneurship is the only practical answer. It is true. We are hearing similar reports from many readers. Entrepreneurship is the most practical answer for most. It is important that anyone going the entrepreneurial route to solve their retirement concerns be practical in their efforts. This is certainly not the time to think the way you might have when you were in your 20’s or even your 30’s. This is the time to really sit down and understand what you are facing. It is no time for experimenting. Over the past years, society has changed in many ways, not the least of which is because of advances in technology. However, at the same time, other things changed such as how people prefer to intake information. People used to enjoy reading a great deal. Now, they can become upset if they have to read more than a couple of paragraphs. Now people want to watch videos instead. It is nice to have options, we do understand. But, what should you do when you need to deeply understand an issue or better yet, a solution that could solve a critical problem that you are facing. Do you really believe that you can obtain the full and total solution (and understand it) in a 10 or 15 minute video? Sadly, many people do. This is a very important article and does a good job of describing the problems many people are having as they near retirement. Yes, we are getting a large number of responses to this article. Thank you. It’s crazy to think how things have changed, People are retiring older and older. Back in the old days things seemed so great and planned out. Great post. Yes, you are so right about it. We, as a staff, have actually sat around and talked about this very point. Some of us have even shared memories of how pleased and excited our grandparents were as they neared their retirement. Sadly, when we think about retiring today, we know that this is no longer our grandparents’ world. Unfortunately, this article hits close to home. I know two relatives in their sixties that had to delay their retirement due to insufficient savings because they have to financially support their older children who are going back to school in their late twenties to get a higher paying job. They are not forced to, but they do it out of love for their children and legacy. Some readers may feel that this concern is only for those nearing retirement age. Unfortunately this issue has a very long reach and will affect all age groups. As a young woman seeing my dad having to work well into his later years, this article resonates loudly. It’s sad to see such a generation be moved into a second class citizen type of position. Older people need consulting more than ever. That scenario is being repeated more and more lately. It is clear that the system (however you may define it) is “broken” and is failing in numerous ways. Some would say that the problem lies within society itself, others would argue that it is a problem caused by the individual’s actions alone and society has nothing to do with it. We have heard people say, each individual needs to just take care of themselves – “Sink or Swim”. Along the same theme, some say it is just a matter of effort and if a person really wants to, they could pull themselves up by their boot straps. Yet, many do not even have boots. It matters less who is responsible for this situation than who will help to correct it. I love this post, it makes me realize that I don’t want to have to work my whole life. When I’m older and not able to move around as much, I want to be able to relax and enjoy the rest of my life. You have a good idea of why this is such an important topic. While you have the time and energy to take action, you should definitely do so. We wish you great success because you are now aware of this very critical retirement issue. This is very true, I don’t want to have to work forever, at least I should be able to be in control of my life and have some kind of balance between my working life and my personal life. Yes, Grizz you are expressing the same view as many others. It is unfortunate that after working for so many years, the future security of many people is now in jeopardy. It means perfect sense to not ignore all of the warning signs. Now is the time to acknowledge the possibility that the future could be very troubling if you do not take action quickly. We are putting a lot of emphasis on strategies and techniques that can be learned quickly and put into action. You can expect more of our future blogs to deal with this topic and sensible yet plausible remedies. This article takes what is difficult for some and gives hope with the means of rescuing retirement with entrepreneurial gusto. What a wonderful way to resolve a modern problem! For sure, entrepreneurship is the only practical answer. It would seem necessary to take action in that manner because to do nothing would be to trust that the situation will somehow “correct” itself. Thinking and believing that those in charge will now get and keep everything in proper control would be lunacy based upon how this disaster originated in the first place.